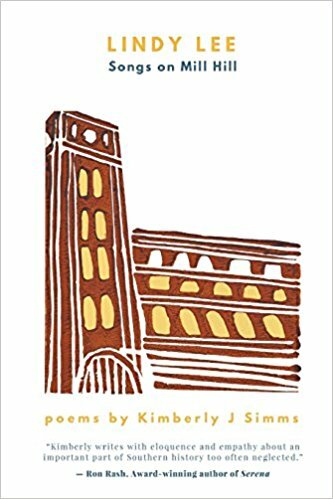 In her debut book of poetry from Finishing Line Press, Lindy Lee: Songs on Mill Hill, Southern poet Kimberly J. Simms chronicles the lives of textile workers in the rural Southern Piedmont. The poems reflect not only the hardscrabble lives of mill workers in the early 1900s, but more so, the grit and self-reliance upon which these families subsisted and survived. Simms’ characters have “lungs full of lint,/calloused soles black with machine oil/and three meals a day of dry cornbread,” where grueling work and the hierarchies of power create lives where “Pure/pressure seals us tight.” Such juxtapositions throughout the collection weave together important glimpses into the quotidian daily experiences of the Carolina mill worker. In tightly-woven poems, often using the rural vernacular of the time, readers are quickly ushered into the lint-filled, grimy, sweaty brick halls of the mill, where men, women, and young children often toiled 15-plus hours a day, where mill owners and operators controlled almost every part of their workers’ lives. I call the people to work. I warn ye how your time passes away. While mill scenes dominate the collection, Simms also paints a picture of joy. Teens swim in a watering hole, old men whittle on the porch, mandolins and fiddles cut the night air with sweet song. There’s baseball, Christmas celebration, singing, and marriage. Simms describes a full-bodied culture defined not only by work, but also by wives’ tales, superstitions, and omens, where belief in haints caused folks to paint porch ceilings blue. 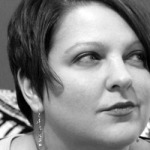 In this way, she helps contemporary readers understand the totality of life in the mill hill. Peppered throughout the collection are stirring black and white images of unidentified child mill workers, taken by Lewis Hine, from his work for the National Child Labor Committee from the Carolina Piedmont region from 1908-1915. These poignant images, which were instrumental in leading to child labor laws, work in conjunction with Simms’ text to create a comprehensive portrait of the times. In Lindy Lee: Songs on Mill Hill, Kimberly Simms captures the paradox of the mill communities: those bound together not only through hard working and living, but through the grit that defines human perseverance and survival, all of which “You get so used to doing, it’s hard to stop.” In doing so, she helps bring to light the personal stories of those typically reserved as a footnote in Southern history.